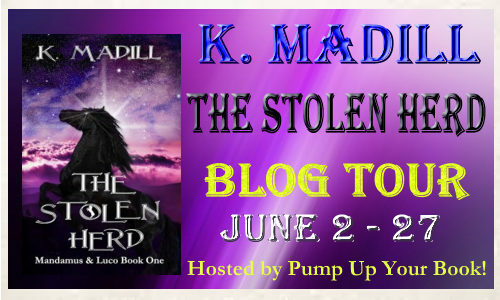 K. Madill is touring with Pump Up Your Book this month with her young adult fantasy novel, The Stolen Herd. Read to the end to see how you can enter for your chance to win a $25 Amazon gift card. BLURB: Mandamus is only a foal when his herd is captured by the terrible Rakhana Army. Rescued and raised in secrecy, he knows nothing of his heritage until a dreadful incident in the woods brings him to the attention of the Forest council – and everyone else. Sent away for his own protection, he is determined to seek help on behalf of the many animals who have gone missing from the forest, including his own family. With the help of a troubled man and a stout-hearted bat, can Mandamus save his fellow creatures before it’s too late? COVER: I’m not usually a fan of dark covers, but this one is stunning. 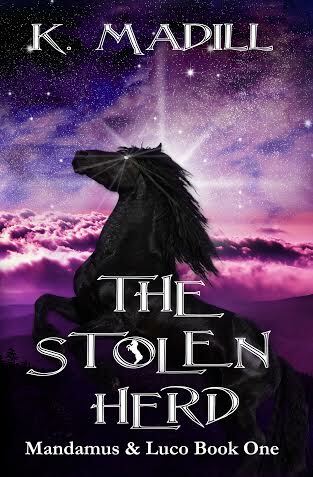 The black of the horse, the white glint of his eyes, and the purples and pinks of the sky make for a fabulous piece of art that attracts readers. FIRST CHAPTER: As the Rakhana Army closes in on the herd, Gideon takes their foal and dashes him to Daleth and Mareva to raise in secrecy. KEEP READING: Filled with flowing descriptions and a multitude of characters, this opening chapter sets the scene for what will become of Mandamus after his herd is captured by the Rakhana Army. A butterfly, a bat, a herd of horses, a ruthless human army, and a special foal with white eyes who may be the stuff of legends make for an interesting cast. The strength of the world building is easy to see early on. The hint of magic and the elegant writing in this first chapter definitely encourage me to follow along with the rest of Mandamus’ story. I received a copy of this book from the author. I have been paid a fee to promote this book with a book tour through Pump Up Your Book. That fee did not include a review. This review contains my honest opinions, which I have not been compensated for in any way. A chronic “head in the cloudser” K. Madill lives in a rickety house on a well treed street in British Columbia, Canada. When she’s not hanging out with her best equine friend in the woods she can be found trying to stay upright on her roller skates or mediating the affairs of her various furred and feathered friends that rule the aforementioned rickety house. Pump Up Your Book and K. Madill are teaming up to give away a $25 Amazon Gift Card! By entering, you confirm you are 18 years of age or older. Raffle runs from 12:00 AM EST on June 2 through 12:00 AM EST on June 28, 2014. Winner will be selected randomly by Rafflecopter. Winner will be notified by email and has 72 hours to claim the prize before a new winner is selected. 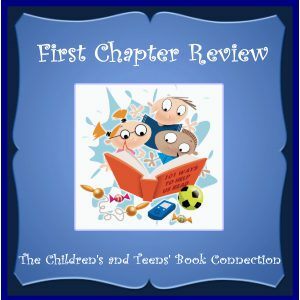 Prize will be sent via email from the author’s representative.